Whisk ingredients for Pad Thai sauce together in a medium-sized glass bowl. Heat olive oil on med-high heat. Add onions, sauteeing for 2-3 min until softened. Add chicken and 3/4 of the Pad Thai Sauce, stirring to combine and cooking for 8-10 min until chicken is fully cooked. 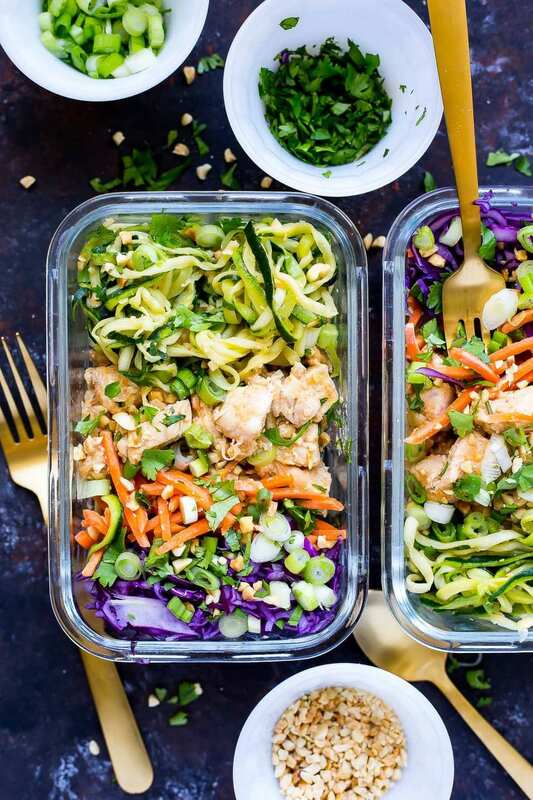 Add chicken, carrots and red cabbage to each bowl, garnishing with scallions, peanuts and cilantro. Refrigerate up to 4-5 days and take for work!